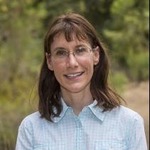 I am an Associate Director of Applied Animal Ecology at the Institute for Conservation Research, San Diego Zoo Global. My research focuses on Southern California and northern Baja California region species at risk. My work includes Peninsular Bighorn Sheep and habitat connectivity locally and across international borders, Burrowing Owls and the restoration of grassland ecosystems; California Least Tern and Western Snowy Plover monitoring and adaptive management; and habitat associations and monitoring of Golden Eagles and Coastal Cactus Wrens. I have acquired extensive experience in landscape and population ecology, wildlife-habitat interrelationships, and on the linkages between ecological patterns and processes at multiple spatial scales for guiding species recovery. I studied Forestry and Wildlife Management at the University of California, Berkeley, Natural Resource Sciences at Washington State University (M. Sc. ), and Wildlife Ecology at Utah State University (Ph. D.). Our collaborative projects are comprehensive, and have applied conservation, adaptive ecosystem management, research, and education components to achieve successful species recovery efforts in collaboration with local, national and international partners.